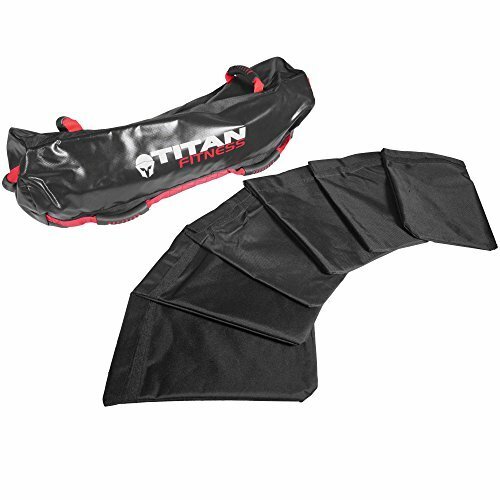 Develop total body strength, stability and endurance by training with the Titan Fitness heavy duty weight training bag. This versatile training bag allows you to execute countless training exercises that work both the upper and lower body. Develop explosive power on-demand. Included are 8 removable weight bags that hold up to 10 lb each. They can be used as soft weights to increase the intensity of any exercise. - Outer bag dimensions: 32" x 10"
This versatile training bag allows you to execute countless training exercises that work both the upper and lower body.